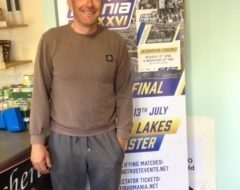 Thankfully heavy rain which had made for some difficult journeys gave way to decent sunshine before the start signal of the Fish ‘O’ Mania qualifier held at Makins Fishery, Nuneaton on Wednesday 29th April 2015. However, the resultant drop in water temperature and continuing cold wind prevented this prolific venue from giving off its best. That said, this qualifier produced one of the tightest finishes for some time with only 10lbs separating the top seven anglers. Perhaps the only downside was that all the frame positions were shared between the two bigger lakes on Phase 2 – Lagoon and Lizard. Elsewhere, especially on the shallower lakes, anglers found it hard to put many fish together, although the lowest weight to take one of the ten-peg sections was still 34lbs. 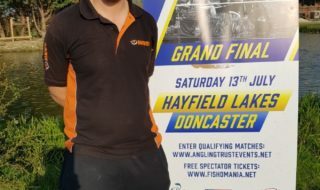 Winner of this sixth qualifier was Colchester, Essex angler Simon Colclough. Simon drew peg 16 on the back bank of Lizard. After a slow start he located fish on the deck at 13 metres fishing banded pellet and kept them interested for all but the last hour by pinging 6mm pellets around his float every 30 seconds. His total weight of 93lbs 8 ozs included carp to 10 lbs. Runner-up by the painfully narrow margin of 4ozs was Wayne Ibbotson from Doncaster. Wayne drew Lagoon peg 2 and caught carp to 12lbs fishing meat short, pellet long and worm down the margin for a total of 93lbs 4ozs. Wayne had a peg to peg battle with his neighbour, Rob Wootton, on peg 3. Rob caught carp to 7lbs on meat, mainly short, for a level 91 lbs which amazingly, left him joint third with Derby angler Andrew David on Lizard peg 10 who also caught the bulk of his fish using meat short. Fifth was Andy Geldart also on Lizard, peg 32, with 89lbs 4ozs. 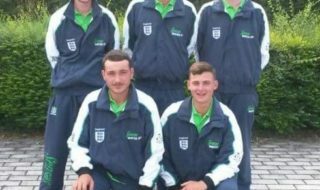 As always thanks are due to Alan and all his team at Makins. 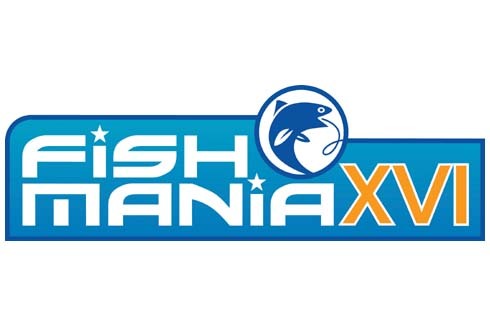 The next Fish ‘O’ Mania qualifier for this year heads to Tunnel Barn Farm on Saturday 2nd May.